Vintage clothes have a few unique advantages over buying brand new clothing. What is your favorite aspect of buying vintage? On eBay you’re a Top Rated Plus seller. What sets your store apart in terms of customer satisfaction? How do you make happy buyers into repeat customers? Outside of the vintage world, what are some of your passions? What makes you excited to wake up in the morning? Besides clothes, what’s an item that you think is really worth buying vintage? 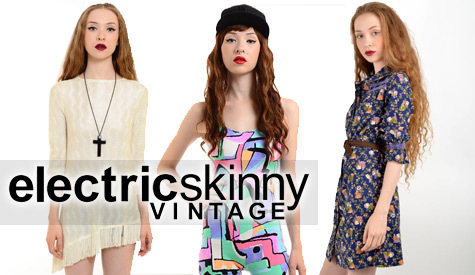 Whether you’re new to vintage or have a closet full of classic couture, electricskinny vintage will hook you up. Visit their gorgeous online shop and scoop up some of the finest vintage clothes coming out of Ann Arbor.